This festive season, while you play with colours, you ensure that children, irrespective of colour, class, caste, faith, gender get equal opportunities to celebrate a childhood they deserve. 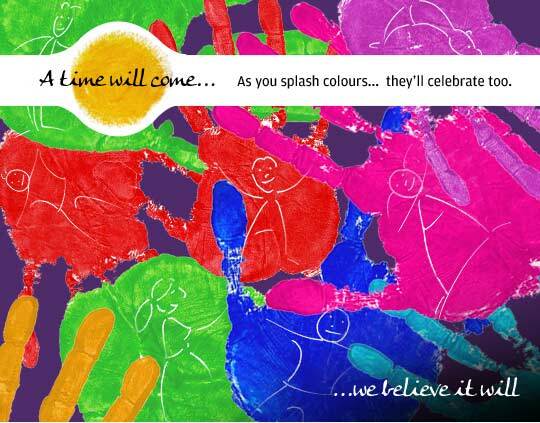 Join in the celebrations and strengthen the child rights movement. Conway Hall, 25 Red Lion Square, London WC1R 4RL. CRY - Child Rights and You UK Ltd is a non-profit organisation that works towards restoring to underprivileged children, especially in India, their basic rights to live, to learn, to play, to protection Ã¢â‚¬â€œ to a childhood. Child Rights and You UK Limited is registered charity no. 1119026. Please feel free to forward it to a friend. If they would like to receive it directly, they will have to write to us. If you do not wish to receive further emails, or if you have received this message in error, please accept our apologies and simply click here to unsubscribe.